9. (This answer should be more than 3 sentences.) 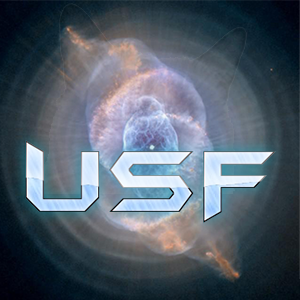 Provide THREE reasons why you believe that USF should accept you: I think that I am prepared to be in a clan like this and I consider USF to be a good clan. I'll be happy to be here and help everyone. I can help the DF colony by grinding, looting, and participating in events. This application is of an okay quality. However, the response to Question #9 does not consist of three sentences, so I would recommend that the applicant edits his/her application in order to make his/her response to that question consist of three sentences. The answers to question 8 are not the answers I would be looking for, because we are looking for the qualities you may have that could be beneficial to us, not what you look like in real life or similar. Your second answer to question 8, “I like to be funny”, is an example of what I would be looking for. I have no other comments or questions for the applicant. To clarify on my colleague's past comment, responses to Question #8 are intended to reflect your mental/psychological characteristics and traits (such as your personality), and not your physical traits or appearance. Application is okay, Question 8 and 9 need to be revised again as Warrior and Diamonder said. Question 8 consists of personality traits, not physical appearance. Fives wrote: Application is okay, Question 8 and 9 need to be revised again as Warrior and Diamonder said. Question 8 consists of personality traits, not physical appearance. emmm i cant edit i dont know why and have you see Iam funny, I am respectful, and Responsable. Applicant has received 5 positive votes.